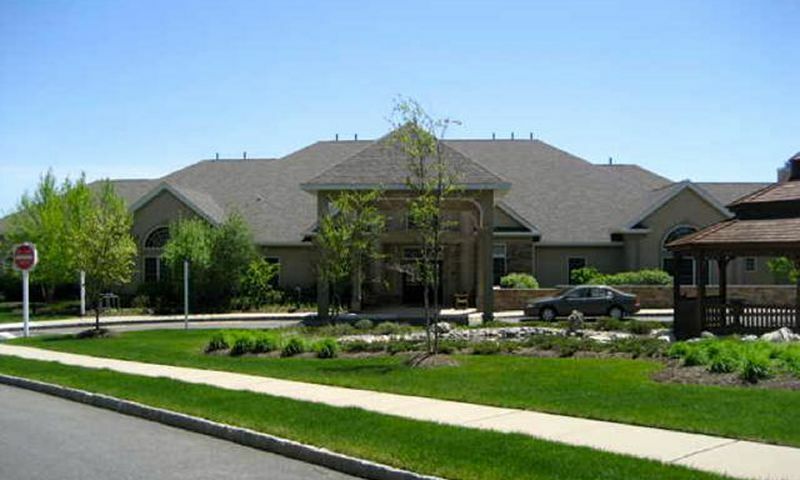 Rolling Meadows at Wayside is a lovely gated 55+ community located in Ocean Township, New Jersey. This beautiful community provides all the amenities needed for a healthy, active lifestyle. The clubhouse offers a variety of features, such as hobby and game rooms, fitness center, putting green, and an outdoor pool. Rolling Meadows at Wayside is comprised of 328 low-maintenance, single-family homes for homebuyers aged 55 and better. Residents relish a welcoming, intimate setting with easy access to shopping, dining, and medical care. Residents of Rolling Meadows at Wayside can enjoy a variety of features that support an active lifestyle. The beautiful clubhouse includes a fitness center complete with cardiovascular and strength training equipment. After a workout, residents can head to the indoor sauna to relax their muscles. In addition, residents can enjoy a game in the card and billiard rooms, cozy up with a book in the library, stay connected in the business center, or express their creativity in the craft room. The great amenities continue outdoors with tennis, bocce ball, shuffleboard and horseshoe courts providing fun options for activities. The outdoor pool is the perfect place to relax and bask in the sun. Residents can enjoy the scenic landscape while walking and biking on the trails throughout the community. Rolling Meadows at Wayside is comprised of 328 single-family homes built from 2002 to 2007. There are five different floor plans that range in size from 1,367 to 2,414 square feet of living space. These beautiful homes feature at least two bedrooms, two bathrooms and a two-car garage. Reasonable association dues allow residents to enjoy all the amenities and a maintenance-free lifestyle. Residents of Rolling Meadows at Wayside enjoy a carefree lifestyle geared towards the needs of active adults. Rolling Meadows at Wayside includes a variety of amenities and activities to meet a wide range of interests and hobbies. Residents can discover educational opportunities in the business center, make use of the clubhouse’s fitness amenities, or participate in a community event in the meeting room. The welcoming ambience of this community allows residents to make lifelong friends in a close-knit setting. Rolling Meadows at Wayside is located in the heart of prominent Ocean Township, New Jersey. It is conveniently only five minutes from Garden State Parkway and Route 18 and 15 minutes from Interstate 195. The Jersey Shore beaches, Garden State Arts Center, several golf courses and other popular attractions are only a short drive away from Rolling Meadows at Wayside. Nearby residents can take advantage of the medical facilities, restaurant and major shopping malls. Residents don’t have to worry about wasting hours in congested traffic and can focus on living their lives to the fullest. Rolling Meadows at Wayside gives homeowners everything they could want or need in an active adult community in Ocean Township, NJ. There are plenty of activities available in Rolling Meadows at Wayside. Here is a sample of some of the clubs, activities and classes offered here. Rolling Meadows at Wayside is comprised of 328 single-family homes built from 2002 to 2007. There are five different floor plans that range in size from 1,367 to 2,414 square feet of living space. These beautiful homes feature at least two bedrooms, two bathrooms and a two-car garage. Reasonable association dues allow residents to enjoy all the amenities and a maintenance-free lifestyle. Please Note: Floor plans are not available at this time. 55places.com is not affiliated with the developer(s) or homeowners association of Rolling Meadows at Wayside. The information you submit is distributed to a 55places.com Partner Agent, who is a licensed real estate agent. The information regarding Rolling Meadows at Wayside has not been verified or approved by the developer or homeowners association. Please verify all information prior to purchasing. 55places.com is not responsible for any errors regarding the information displayed on this website.